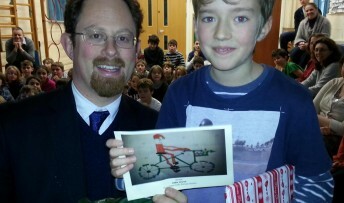 Cambridge youngster, Eddie Church came up with the winning design of a cycling Santa when asked to design a Christmas card for the city’s MP Julian Huppert. Eddie, 10, from Park Street Primary School decided Father Christmas delivering his presents on a bike fitted perfectly with this year’s theme Eco Christmas. His winning entry has pride of place on Julian’s e-Christmas card along with a message and a selection of the designs from the competition runners up. Julian went along to Park Street Primary School to present Eddie with his prize a recycled House of Commons pencil case with a pencil and ruler and a House of Commons notepad. And he praised all the youngsters who had taken part in the competition which drew entries from schools across the city. 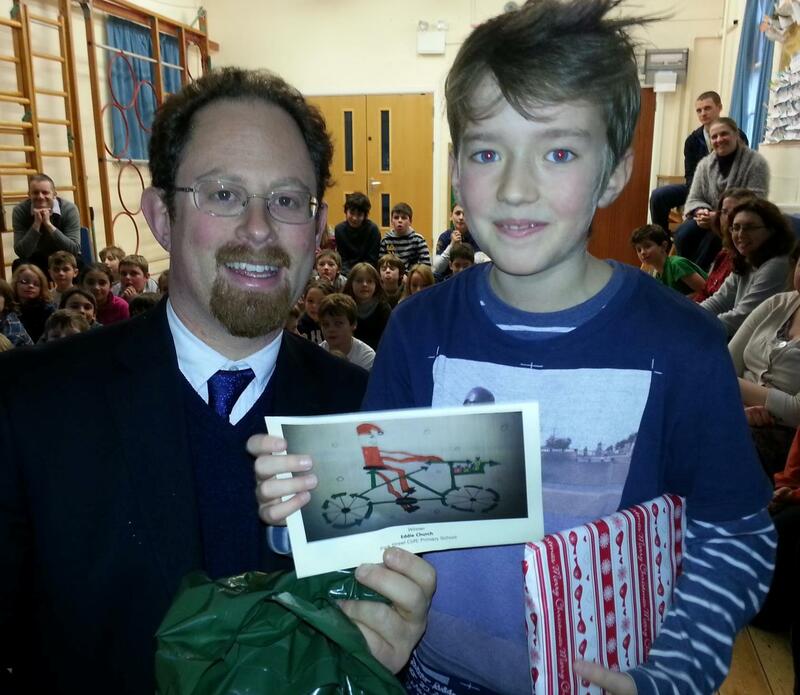 “I love Eddie’s cycling Santa,” said Julian. “He clearly knows that I am committed to cycling and it’s a novel idea to take Santa out of his traditional sleigh and put him on a bike. It fitted in so well with this year’s theme. Congratulations on your win Eddie!